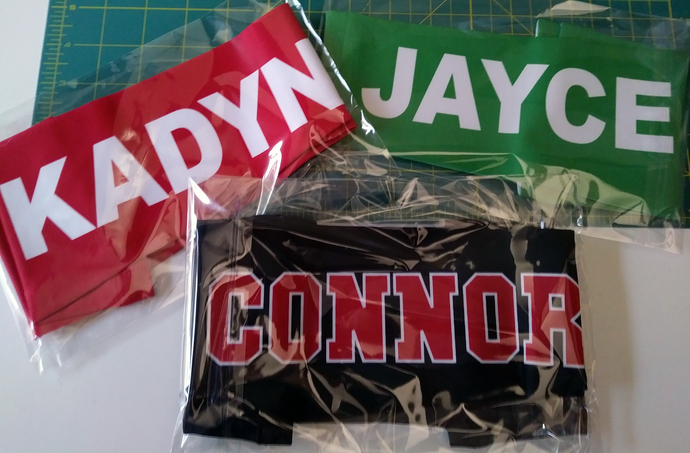 These custom arm sleeves are personalized with the text running on the outside of both sleeves. They are available in any desired color and custom text. The Vapor Apparel arm sleeves are made of moisture wicking polyester and lycra fabric that offers incredible stretch and vivid permanent colors.